Senate Bill 416 contains about 150-million dollars for a number of road, water, and capital construction projects. Those projects would be paid for through a combination of cash, bonds and grants. But it didn’t get the support it needed today to advance to the Senate. Hopes were raised after the House gave preliminary approval yesterday with three more votes than it needed to reach the supermajority threshold. It’s needed because of the bonding component. But Senate Bill 416 failed on the third and final reading this morning when six Republicans changed their votes from yes to no. But Representatives agreed to debate the bill again this afternoon. In an effort to get the necessary Republican votes, an amendment was offered to change the mix of projects to be funded and the funding mechanism. But that effort failed and the bill reverted to its original form. Representatives voted again. This time the supermajority threshold was barely met on a 67-to-32 vote. Minority Leader Chuck Hunter rose to ask the House to suspend its rules and allow the bill to face a third and final vote the same legislative day and send it to the Senate. That failed, dashing expectations that the Legislature could wrap up today. House Speaker Austin Knudsen adjourned for the day amid grumbles from Representatives and said they would reconvene Saturday at 8 am. 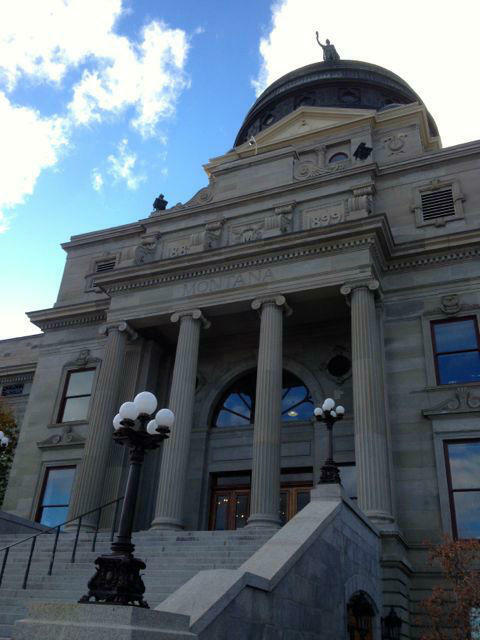 As the 2015 Montana Legislature draws to a close, many lawmakers are saying their goodbyes.